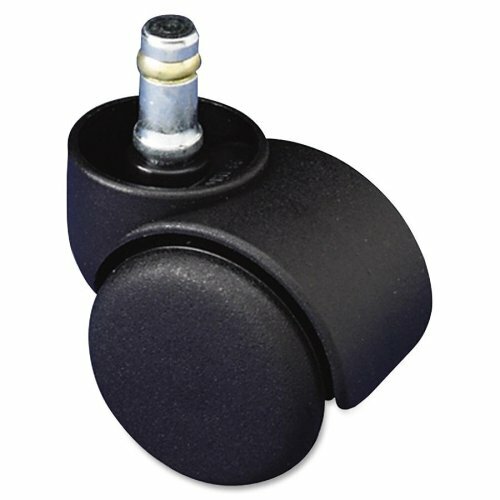 Safety Casters provide an internal brake that prevents wheels from rolling freely when user stands up. K stem casters with an oversized neck allow smooth effortless chair rolling while seated and minimize chair movement when no weight is applied. Dual, 2" diameter wheels feature full hoods. Soft wheels are designed for use on hard floors and chairmats. Weight rating is 100 lb. per caster.